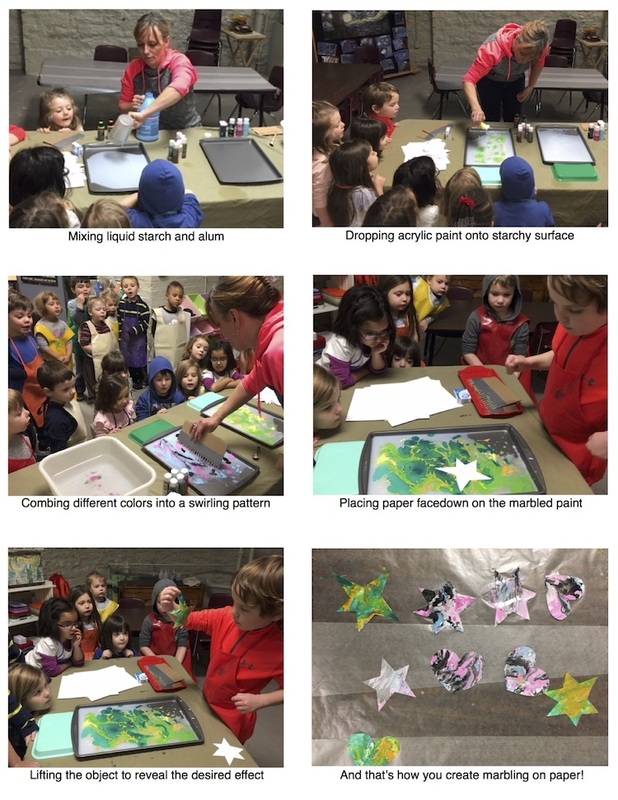 Ryonen Ignatius introduced her (3-6) art students to a technique they used with paper and acrylic paint called marbling. Students looked at samples of marbling on the colorful edges of old books and in beautifully marbled paper created by masters. 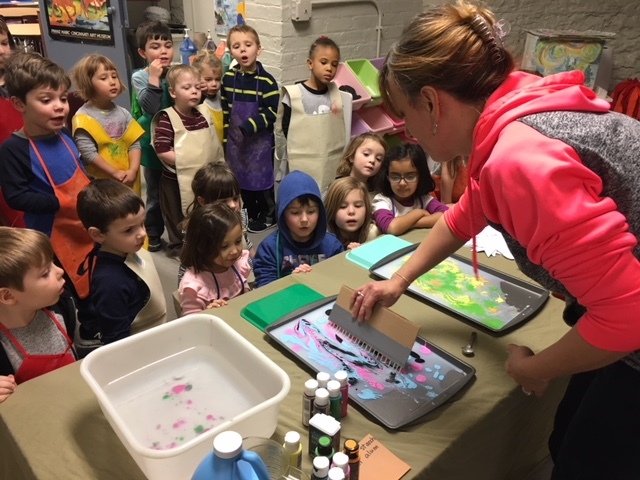 This marbling effect is similar to suminagashi which means “floating ink” where artists drop ink into water and create patterns by blowing across the surface. Confectioners also use a marbling-type technique when they drag a toothpick from one color of icing into another.